There are no trains Sunday between Dupont Circle and Judiciary Square, which will affect the area of Sunday's parade. WASHINGTON — This weekend’s significant Red Line shutdown through downtown D.C. will happen during the Chinese New Year Parade. 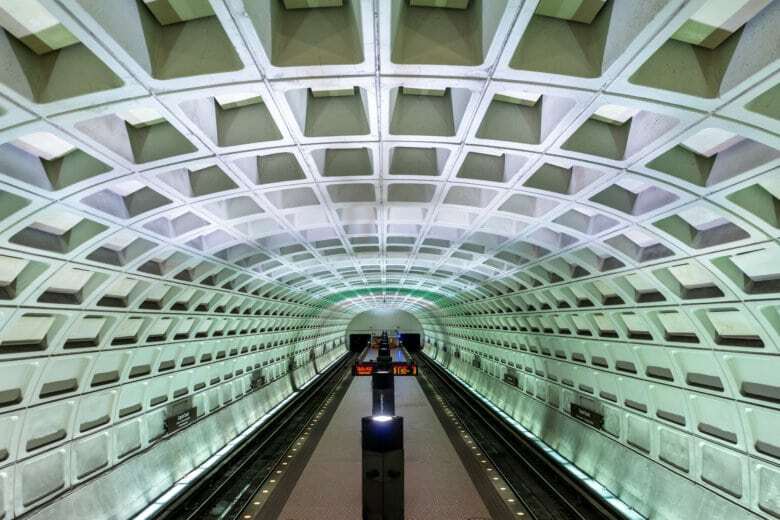 There are no trains Sunday between Dupont Circle and Judiciary Square. Farragut North will be closed, and the Red Line platforms only will be closed at Metro Center and Gallery Place. Other lines will run at Metro Center and Gallery Place. Shuttle buses are scheduled to run between Dupont Circle, Farragut North, Metro Center, Gallery Place, Judiciary Square and Union Station. Outside of the track work area, Red Line trains are scheduled every 8 to 10 minutes this weekend. The Chinese New Year Parade closes H and I streets Northwest around Sixth Street from 10 a.m. to 5:30 p.m. Sunday. Additional closures are scheduled during the parade around 2 p.m.
On Saturday, separate street closures were scheduled in the afternoon along Pennsylvania Avenue Northwest between Third and Seventh streets for Cupid’s Undie Run. Other construction-related lane closures are scheduled elsewhere around the region. Other Metro single-tracking this weekend is scheduled on the Blue Line between Stadium-Armory and Addison Road. Blue Line trains are scheduled every 20 minutes. Silver Line trains are diverted to New Carrollton to avoid the track work, and are also scheduled every 20 minutes. Orange Line trains, too, are scheduled every 20 minutes or so this weekend. Green and Yellow Line trains are scheduled to run normally most of the weekend, except for single-tracking after 10 p.m. each day north of Fort Totten. For commuters, Maryland’s MTA Commuter Bus announced this week they are canceling Route 202 from Gaithersburg to Fort Meade effective Feb. 28. The service started in 2011, but there have not been enough riders, the state said.